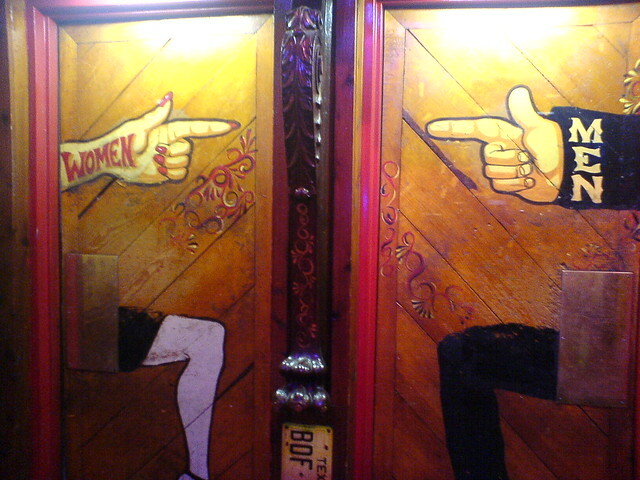 Most Confusing Restroom Signs Ever | Boulder, Colorado | Flickr - Photo Sharing! At the Dark Horse Saloon. jeco and DGM885 added this photo to their favorites. Awesome, I wonder how many people walk into the wrong bathroom. been there, (not) done that. Just came across this link and remembered having gone in the wrong one at least a half a dozen times. Every time I caught myself at the same point (one step in) and hustled out embarrassed. I miss the Dark Horse!